After the official opening n 19 April, the traveling exhinition Making Douala 2007-2013 will be open to public form 20 April to 1 June. Through art, the triennal Salon Urbain de Douala (SUD) creates a sense of citizenship in the city of Douala, Cameroon. Contemporary art inscribed into public space effects the daily life of the citizens as well as the perception of the city. The artworks established in the city of Douala over the last 20 years helped building this sense of citizenship and is actually making the city. Making Douala 2007-2013 shows how this was, still is and will continue to be done. 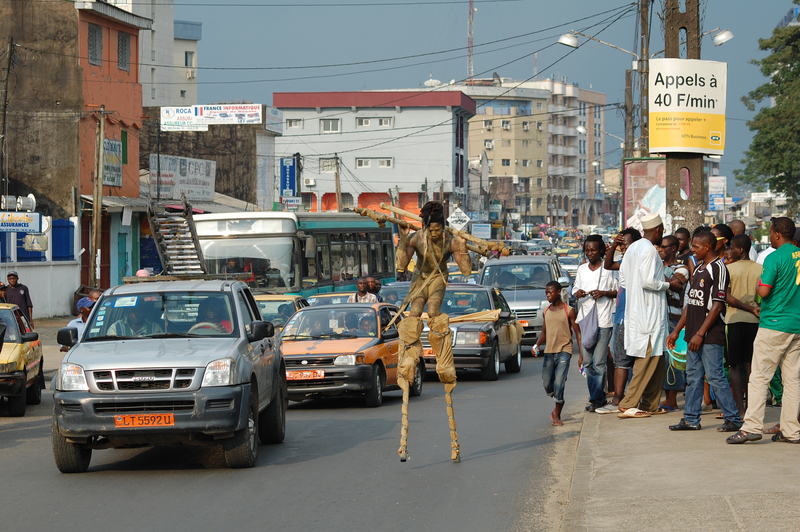 It shows a variety of stories, films, and images of the city and the art works that together show the making of a city through the realization of public art, the creation of awareness, and by addressing public space in the city of Douala. This exhibition is part of the program of the 5th IABR, Making City and is shown on the Test Site.